A rival campaign has surfaced in Inverness’s prison wars, backing Milton of Leys as the right location for a new jail. About 200 people have given their support via a new social network site which has sprung up since a public meeting on Monday drew a 300-plus crowd – all of whom appeared to oppose the prison service’s preferred site. The fledgling online campaign counters a slick website devised by Highlands Against the Proposed Prison Location which objects to the construction of a replacement for Porterfield Prison on a hillside gateway to the Highland capital, beside the A9. “Each and every person is entitled to their opinion,” the new campaign states. In the great debate, there is a general acceptance that a new facility is needed to replace the ageing and cramped city centre complex. Among those in the “pro” Milton of Leys (MoL) camp is Jenny Bear, who states: “A new prison is desperately needed and has been for a very long time. “In almost every other city, the prison is located within the main perimeter of that city. MoL is the perfect place for it as there is plenty of space for it. Contradictory views have also made the “pro” campaign’s new page, however. 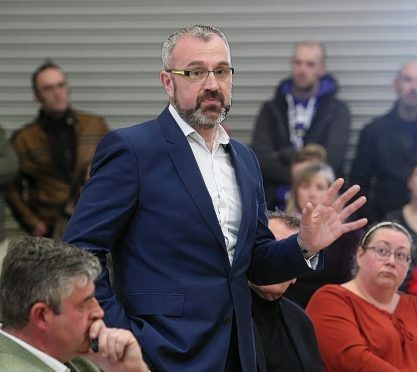 Monday’s public meeting, hosted by Inverness South Community Council, sought a show of hands in support of the siting the jail at Milton of Leys. No-one raised a hand. The Scottish Prison Service unveiled its proposal last month. It will stage public consultation events in May and June.